But when it comes to finding the most unique places to stay it can be tricky, that’s why we’ve put together a list of our favourite places to stay in Patagonia. From glamping in eco lodges inside the national park to enjoying warm log fires, spas and breathtaking views of the park. Patagonia’s accommodation has it all. The award-winning EcoCamp is uniquely located in the stunning Paine massif in the heart of the Torres del Paine National Park. Stay in a sustainable lodge and enjoy community dining amid the natural surroundings of the mountains and glaciers of Patagonia. Spend your days trekking through the natural beauty of the region and finish your days in the warmth and comfort of your lodge, equipped with polar fleece blankets and a private bathroom. 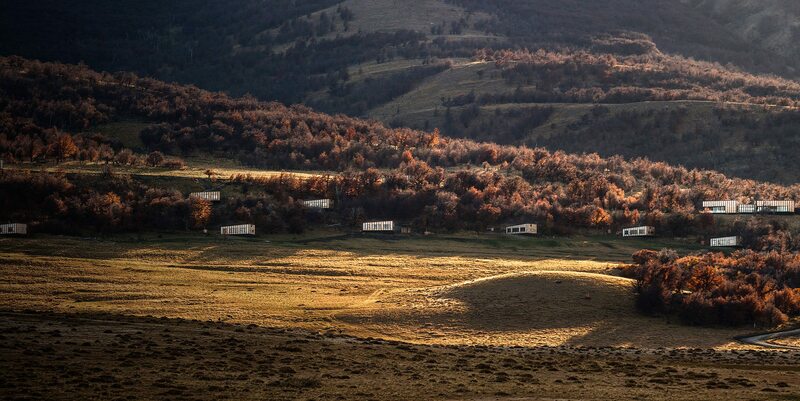 The camp offers four different types of lodges, with one large enough to accommodate a family of four. 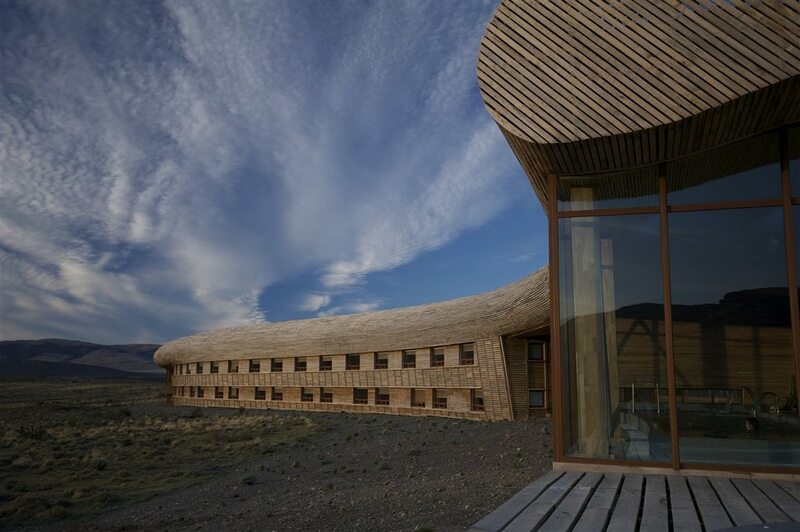 The Singular is a hotel chain that has made its mark on Patagonia with the Puerto Bories Hotel. This five-star luxury hotel was refurbished from its original life as an old storage plant in the 20th century (by company Frigorifico Bories). The hotel is committed to protecting the environment and are always finding innovative ways to reduce their carbon fingerprint and water efficiency, including building the hotel with sustainable materials. This unique building is located just outside Puerto Natales and celebrates its heritage and history with so many original features still intact. Make use of world-class spa and stay in one of the 57 rooms and suites onsite. 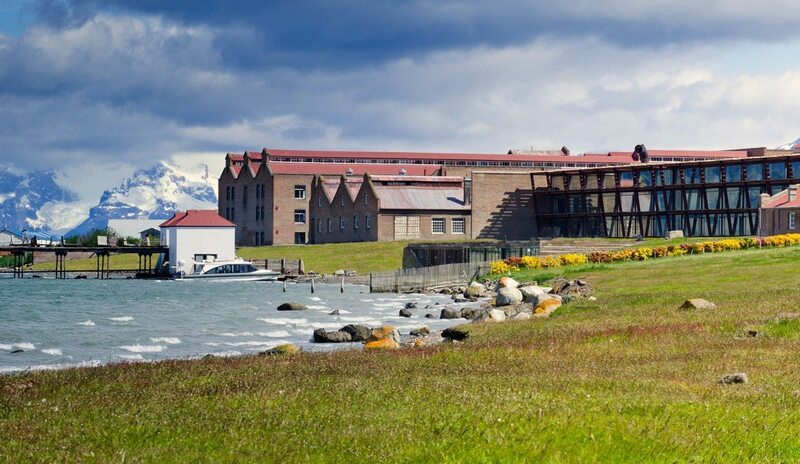 The hotel also offers a number of excursions to the Torres del Paine National Park, and has been voted one of the best hotels in Chile by the Trip Advisor Traveller’s Choice Awards. The stunning Awasi Patagonia hotel is made up of 14 exclusive villas nestled amid the foliage of a private reserve, overlooking the region’s jewel: the Torres del Paine National Park. Every villa comes complete with a specialist private tour guide and vehicle to explore the park and allow you to get off the beaten track. Modelled old Patagonian outposts and shelters, every villa offers exclusive views of the forest and the Patagonian Steppe as well as unrivalled privacy, a warming hot tub and an open fire. Dine at the on-site restaurant, the Relais & Chateaux, and enjoy fresh, made-to-order dishes cooked by chef Federico Ziegler and picked from the natural landscape. Villa rentals start from $950 USD per day, per person. Situated close to the breathtaking Lake Sarmiento, Tierra Patagonia Hotel & Spa is a relaxing retreat for visitors looking to escape city life. Immersed in the hillsides of Patagonia, the hotel offers incredible vistas of the Torres del Paine National Park. The wood clad walls and Chilean furnishings and craftsmanship are a cosy space to spend a cold evening in the park after a day of hiking. When your legs are tired you can make use of the hotel’s exceptional Uma Spa, with its adventure spa philosophy that includes indoor and outdoor pools, a jacuzzi, steam bath, sauna and spa treatments, all of which come with extraordinary views of the national park. Get up-close to the wondrous Torres del Paine National Park, one of the finest natural sights in the world, when you stay at Altiplanico Hotel Puero Natales. Popular amongst backpackers, eco-lovers and adventurous sports-people, the hotel has all of the mod-cons and luxuries you can expect from a luxury hotel, including free internet, a bar and a restaurant with a varied daily menu, massages and laundry service. The hotel’s ethos is all about being at one with nature, and instead of imposing on nature the architecture actually merges in with its surroundings. The interior and exterior design reiterate a respect for the environment and the native culture that inspired the design.